Mommenheim, in search of my roots: I was becoming more comfortable with German driving. The first time was scary, but now it wasn't a problem, except that my tiny Mercedes was a gas glutton (in European, a petrol pig). I got 18 miles per gallon on the first tank and 26 on the second (highway driving). My V-6 Accord bettered that, had 90% more power and no shimmy above 80 miles an hour. Mercedes put little performance into this car. I kept below 70 in case my tall, narrow Mercedes decided to flip. I drove to Mommenheim, looking for my father's ancestry, the Paul family. It was a nice little country town. I walked around for an hour, visiting a Catholic church and cemetery. Overcome by nature's call, I was forced to move to the back shrubbery of the cemetery and urinate on sacred ground. The dead didn't seem to mind--they were dead. I saw many houses and tombstones but no Pauls. 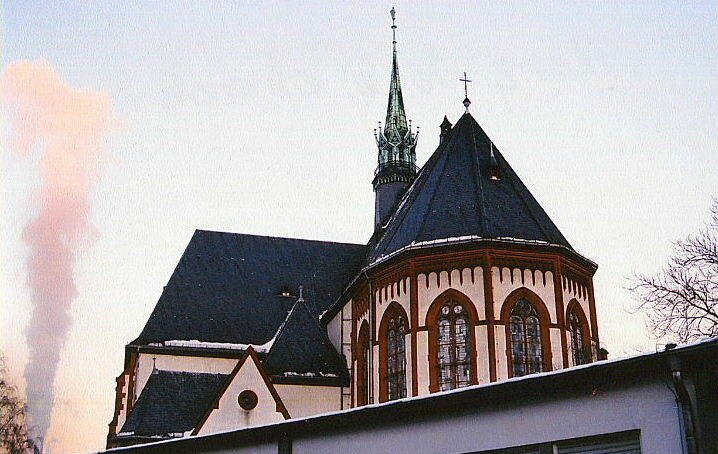 My info said Lawrence Carl Paul, brother of my great-great Grandfather Franz, was born in Momenheim-Eubert-Mainz. I had yet to find that town on a map, but Mommenheim (different spelling) was outside of Mainz, so perhaps it was the same place. Older records show cities with three names, and newer ones, only one name. 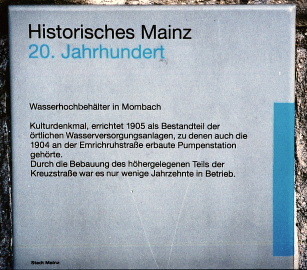 Comparing this to the naming standard for my mother's side of the family, Momenheim would be the name of the town, and Eubert-Mainz would be the region. With a little imagination, it seemed to make sense. Who knows-- perhaps 160 years ago Lawrence urinated in the same spot? Just to seal the deal, I turned around and gave a few sharp rear-kicks towards the spot where I'd marked my territory. 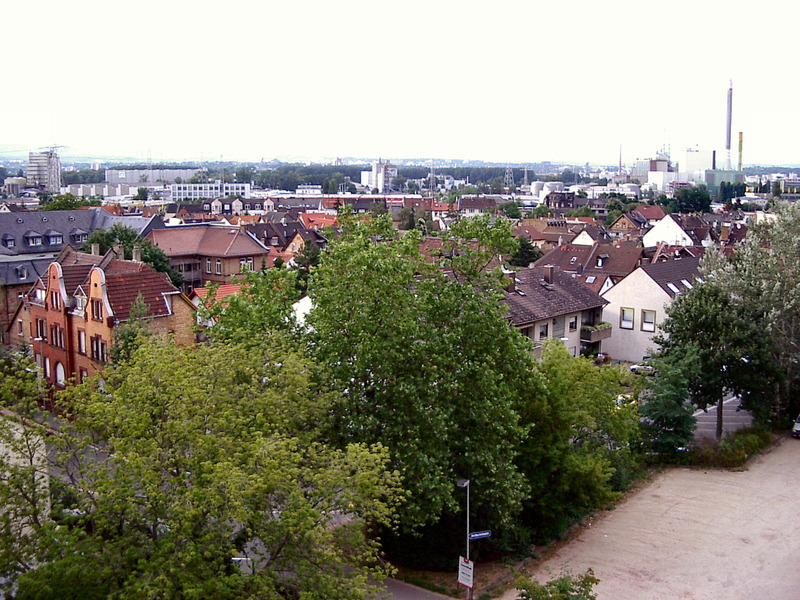 Mainz-Mombach:I drove to Mainz, population about 184,000 Germans, on the Rhein River, west of Frankfurt and 33 kilometers from Mommenheim. I don't think it got much past 20 F degrees all day, and the cold made the city feel creepy with smoke rising from factories and hovering in grotesque, ghostly forms. After getting lost twice in Mainz, I found the borough (for lack of a better word) of Mombach, ancestral home of my great, great, great, grandfather George Paul. My map had little detail on Mainz, so I had to keep driving in the vicinity of where I thought Mombach was until I saw a sign for it. I did some impressive seat-of-pants driving in Mainz. I had no map but was able to keep oriented at all times. 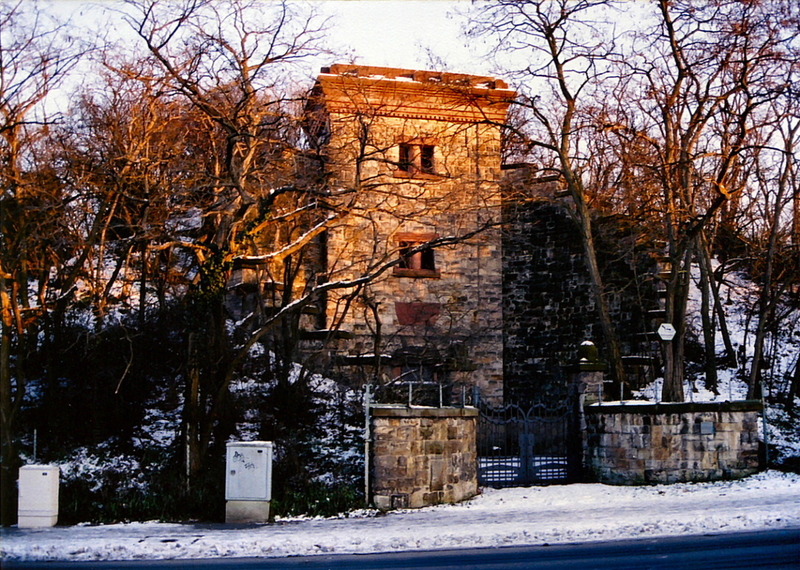 Records showed George Paul was from Mombach-Hesse-Darmstadt. Darmstadt was 33 kilometers west of Mainz so perhaps 150 years ago it was considered part of the Darmstadt area? It does seem a coincidence that all these names; Darmstadt, Mainz, Momenheim and Mombach, although not exactly matching the records, are within 32 kilometers (20 miles) of each other. And Franz Paul, my great-great Grandfather, Lawrence's brother, was married to a Theresa Wenzel of a town called Baden. 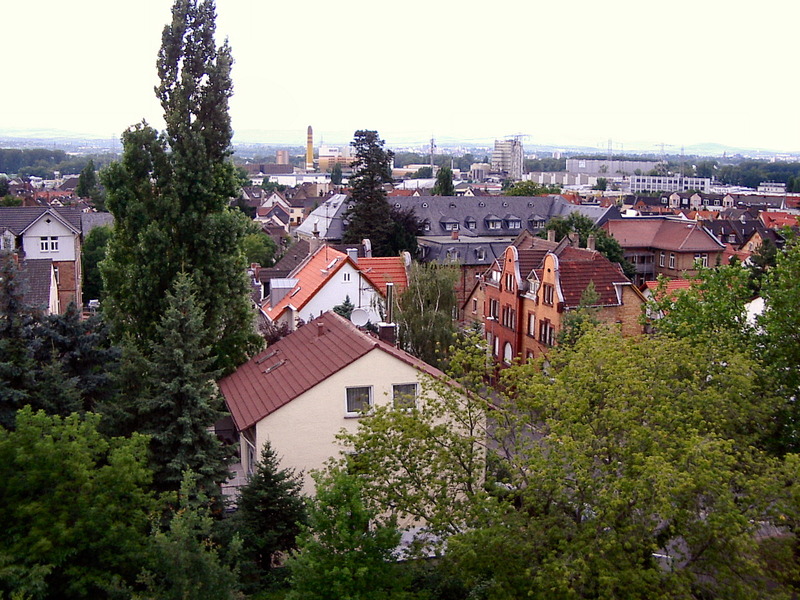 There was a modern town called Baden-Baden on the Rhein River, 87 kilometers south of my deployed location at Ramstein Airbase, Kaiserslautern, Germany. Maybe Theresa sailed up the Rhein River to meet Franz? Based on the towns I'd seen, my mother and father's ancestors lived only 100 kilometers (62 miles) apart. 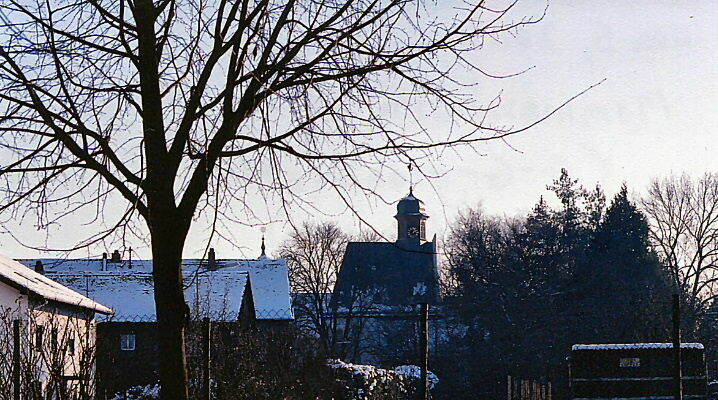 Also, Dörrenbach, where my mother's ancestors (Weiss) came from was just 8 kilometers (5 miles) from France, and a little town called Weissenbourg. I'm probably part French--I do tend to salute with both hands placed on my head. My great-great Grandfather's name was Franz after all! 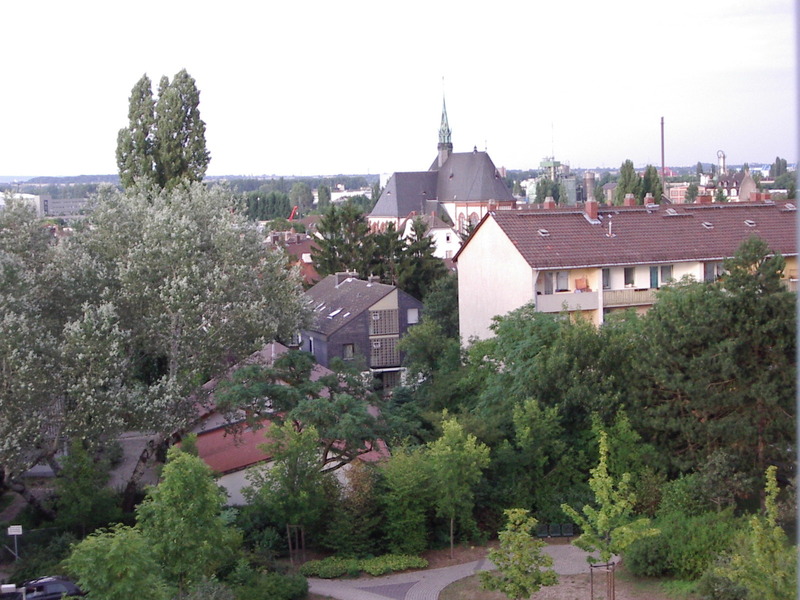 Mainz-Mombach was a small, older part of Mainz next to the railroad tracks and the Rhein River. I parked in what appeared to be the good part of town and walked down a mile-long hill to the not-so-good part of town, reading every road sign and house name I could. The buildings looked old and there was a church which looked to be about 100 years old, although I couldn’t find a date on it and it had obviously been renovated inside. The origins of the Weiss’s (my Mother’s family) and the Paul’s (my Dad’s) seem to match where they ended up in the United States. My father grew up in town and my mother, on a farm. My mother’s origin was easy to find but my father’s, just like his family, was like an investigation. Who are these Paul’s? And why do they all smell like me? I think that when I look at my father’s side of the family. My oldest uncle, who refused to ever go to the doctor, lost both legs and died of gangrene. My father refused to wash his hair more than once a month (when he showered) and still greased his hair and wore 40 year-old clothing to his death in 1996. Lawrence (my direct uncle, not the great, great uncle) seemed the most 'normal' if there is such thing. He lived with his mother until the age of 42 but other than that, he seemed well adjusted. They’re all a little weird--Donald and Marcella too--but loveable, nonetheless. Very loveable. Perhaps that’s why they are so loveable--they’re all so darn weird! I’m in good company. Loveable yet difficult. And just last week I came to the realization that there are no male grandchildren (as of this writing) to carry on the Paul name. Out of four boys you’d think one would have a male grandchild but none had thus far. Maybe God doesn’t want us to reproduce? Me, I'm copyrighted.